North Korea launches new intercontinental ballistic missile which it claims can hit all of the United States. North Korea on Tuesday (Wednesday morning local time) launched an intercontinental ballistic missile (ICBM) that flew about 1,000 kilometers (620 miles) before splashing down in the Sea of Japan, the Pentagon said, according to AFP. The country’s state-run television network KCTV later boasted that the ICBM was a Hwasong-15 type missile, which has technical capabilities far superior to the previous Hwasong-14, and can hit the entire U.S. The launch was ordered by North Korean leader Kim Jong Un, said the broadcast, which showed a still photo of Kim signing the order. The Pentagon said in a statement earlier on Tuesday that the missile did not pose a danger to North America, any U.S. territories or any ally nations. "Our commitment to the defense of our allies, including the Republic of Korea and Japan, in the face of these threats, remains ironclad," the statement read. "We remain prepared to defend ourselves and our allies from any attack or provocation." U.S. Defense Secretary James Mattis said the ICBM went higher than previous missiles. President Donald Trump responded to the missile launch, saying the United States will "take care of it". Trump told reporters that "it is a situation that we will handle." North Korea has several times in recent months tested ICBMs in violation of UN resolutions. 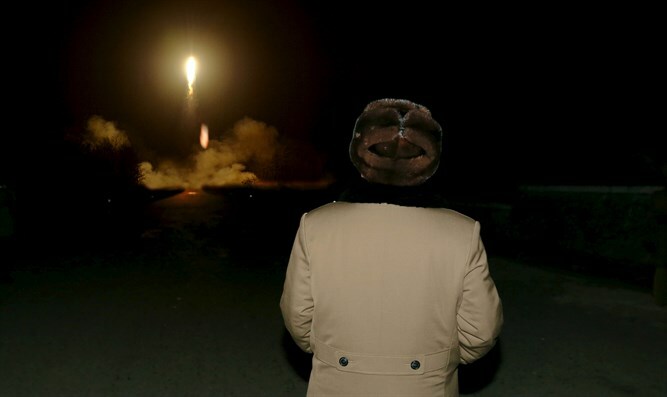 While North Korea had declared in the past that it could test-launch an ICBM “at any time” from any location set by its leader, Kim Jong-Un, it was impossible to determine whether any of its tests had been of an ICBM until the July 4 test. Last week he declared North Korea a state sponsor of terrorism, paving the way for a string of new sanctions against its nuclear program. The United States Treasury subsequently unveiled new economic sanctions targeting North Korean shipping and Chinese traders doing business with Pyongyang.